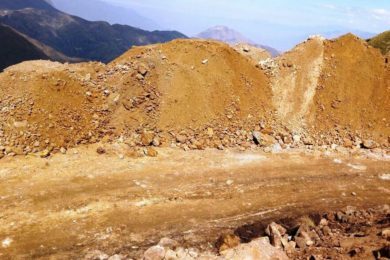 PPX Mining Corp recently announce that it has received the final permit needed to begin construction of its heap-leach gold and silver processing plant at its Igor Project in northern Peru. As outlined in the Igor Pre-Feasibility Study, the plant will process ore mined from the Callanquitas Mine located less than 2 km from the plant site. Initial capacity of the plant will be 350 t/d but it has been engineered to operate at twice that capacity to allow for potential low-cost and rapid expansion of production in the future. With the approved permit to build the heap-leach processing plant, known as the Autorización de Inicio de Actividades de Construcción de Instalaciones Principales (“AIA” or “F2”), PPX will immediately begin site prep work for the installation of the crushing plant and agglomerator.